BEIJING (AP) — X-Men star Fan Bingbing’s Beijing management office is dark and abandoned. Her birthday passed almost unremarked in China’s hyper-adrenalized social media environment. 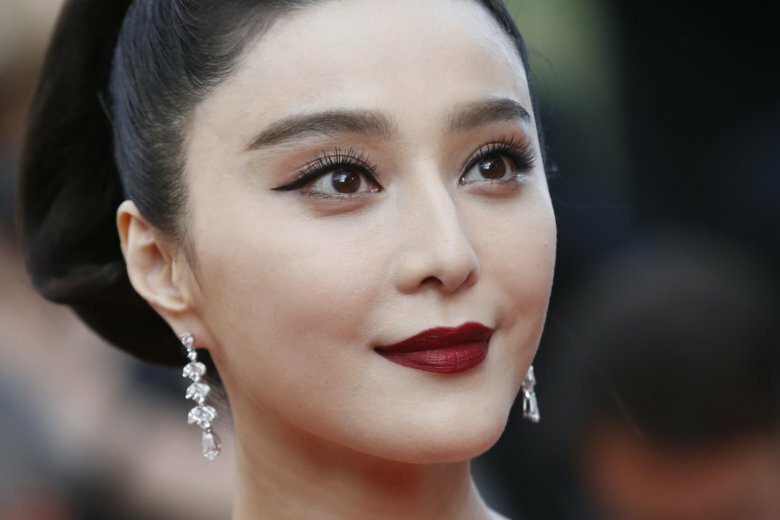 For one of China’s best known stars and a rising Hollywood actress, Fan’s vanishing is stunning, coming amid vague allegations of tax fraud and possibly other infractions that could have put her at odds with Chinese authorities. Yet for nearly three months, Fan hasn’t been seen or heard from in public in any verifiable way. Shi Shusi, a columnist and commentator on Chinese popular culture, suggests Fan’s high profile was her undoing, having made her a target for officials wishing to set an example for would-be tax cheats amid China’s slowing economy. “Such a famous actress and no one knows her whereabouts. And no authorities have made any clarifications. This is the real suspense,” Shi said. Fan’s disappearance even brought a message of concern from Hu Xijin, editor of the Global Times tabloid known for its hard-line pro-Communist Party nationalist opinions. “A timely clarification and public notification of Fan Bingbing’s status would also be beneficial to setting the record straight internationally,” Hu wrote on his Weibo account on Sept. 15. Back in June, Fan’s production company denied Fan had ever a signed a “yinyang” contract, so named because of its dual natures. Fan, her production company and her agent could not be reached for more recent comment. Police rarely acknowledge such investigations are taking place until a conclusion has been reached. Her disappearance had come as Chinese authorities seek to rein in high salaries for actors that can eat up much of the cost of a production. In June, regulators capped star pay at 40 percent of a TV show’s entire production budget and 70 percent of the total paid to all the actors in a film. Though China has become the world’s second-largest film market, authorities keep tight control on local productions, exercising final say over choice of cast, director and script. If Fan had stepped on official toes, it would be a simple task to retaliate by destroying her career, with Chinese authorities wielding broad powers to detain, interrogate and accuse citizens out of the public eye. “Then the government really cracks down hard and pretty much destroys their careers for several years if not forever,” Rein said. Companies that bet big on a-list Chinese celebrities incur a “huge political risk,” he said. The strongest clue to Fan’s status may have been a Sept. 6 notice posted on the website of the Securities Daily, a newspaper published by the official Economic Daily. It stated that the local tax bureau had sent a notice to Fan’s studio that she had been “placed under control” — a legal term for being held under investigation. The article was later deleted from the website.